David Weekley Homes is offering stylish new Villas in the Durham Farms community at price points starting in the low $300,000’s. The Grand Opening of The CHESHIRE model is set for SATURDAY, DECEMBER 8th – from 12 to 2pm – at 252 Tanglewood Lane, Hendersonville, TN 37075. There will be a ton of giveaways, Coffee Cart Nashville with gourmet coffee and hot chocolate servings, as well as an appearance by Santa and Mrs. Claus from 12:30 to 1:30pm. Located in Hendersonville, our 472-acre Durham Farms community is featuring a variety of David Weekley Homes floor plans on beautiful 40-foot homesites. Here, you can enjoy the great outdoors and inspire your inner explorer with open green spaces and miles of tranquil trails throughout ​our family-friendly community. Durham Farms Villas will ​feature two ​(2) ​floor plans ranging from 1734 ​-​ 1923 square feet on 40-foot homesites. Each floor plan features 3-5 bedrooms and a variety of options to personalize your new home. “Demand for the villas has been strong,” said Craig Neal, Lead Sales Consultant in Durham Farms for David Weekley Homes. “Two were purchased as soon as sales began.” The company will offer a total of 34 villas. 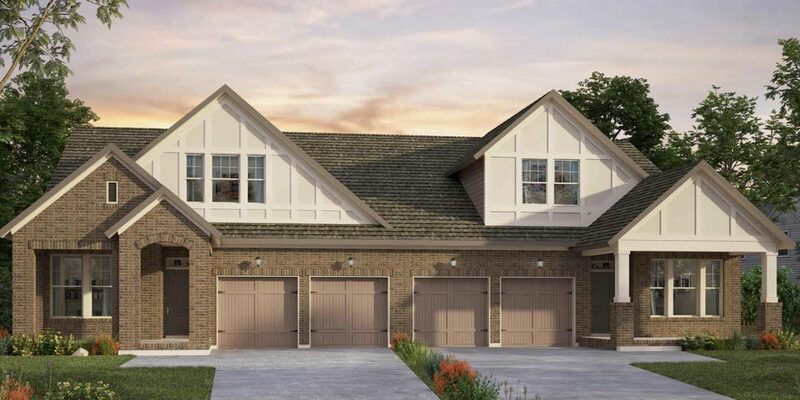 “ [ The villas ] … makes moving into Durham Farms more attainable for aspiring first-time home buyers. It’s also an appealing option for empty-nesters who may no longer need as much space as they once did,” says Suzanne Maddalon, Vice President of Marketing at Freehold Communities, the company developing Durham Farms.